Tickets are $25 after fees with a limited number of tickets available at no cost through our Pay-It-Forward program. Downstage will be offering child-minding for the matinee performance on Saturday, February 23 at 2pm. Downstage will be partnering with Inside Out Theatre's Good Host Program to offer ASL interpretation for the performance on Wednesday, February 20 at 7:30pm. There are no assigned seats in this theatre. The doors will open about 20 minutes before the performance time so that you can choose your seat. Have any questions about the show or the theatre-going experience? Get in touch! 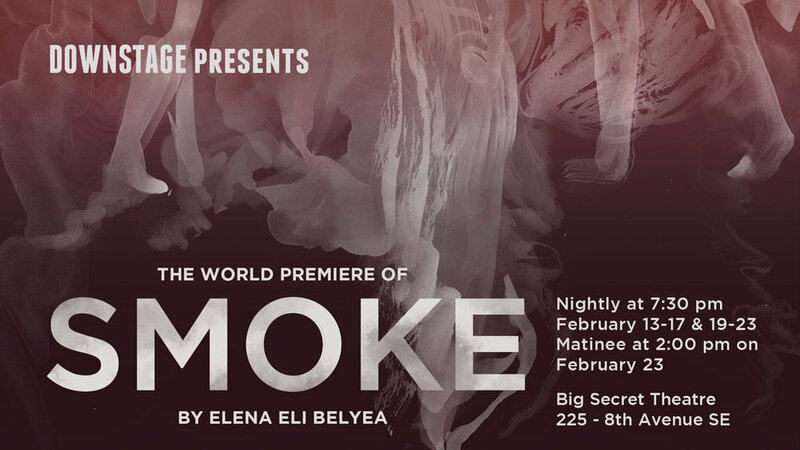 PLEASE NOTE: a non-toxic smoke effect will be used during the performance.